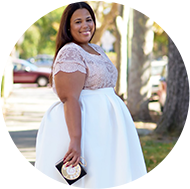 Photo Credit: Lydia Hudgens | Outfit details here. 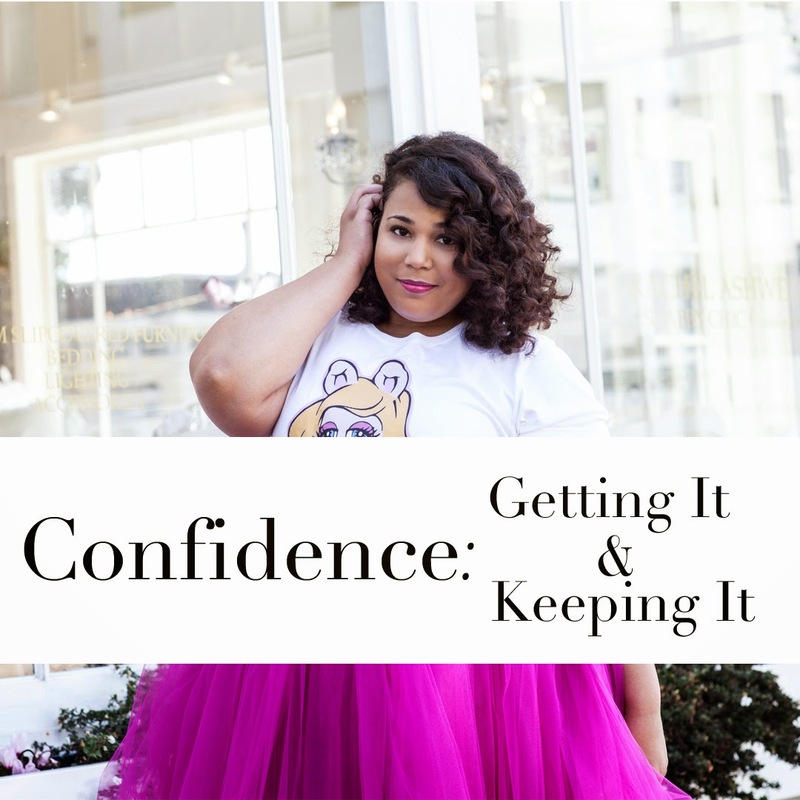 This blog is probably long overdue, but I wanted to give some of my confidence tips. Stake your confidence in your abilities rather than genetics: One of the biggest contributing factors to my confidence is my foundation. When I was child, I never cared to be beautiful. Beauty seemed unearned and just something you happen by on genetics or what someone else thought of you. I wanted to be smart, athletic, accomplished, and independent...and I was/am. I still go to batting cages and hit 80mph pitches just to make sure I can still do it, get a high off of running a successful business (my first and only business), and I ambitiously collect achievements. Even though you can say that I'm in the business of beauty, my confidence is not my face, but the ability to put together an outfit and help other people do the same. I say all of that to say is be proud of what you can do and what you do for others. External beauty will fade, but your accomplishments and abilities won't. You earned them. I think, therefore I am: Beauty is subjective and if you ask a different person about another person's beauty you'll get a different answer every time. The only assessment that matters is your own. I know this can be easier said than done. So much of confidence is the willingness to believe in your own beauty, own it, and claim it. Getting over your own mind. As a blogger, I get attacked on so many aspect of my being every day, but I know who I am. Someone else's opinion won't formulate who I am now or who I will be in the future. I have already decided that I am intelligent, athletic, smart, and beautiful. Positivity breeds positivity: My mom would tell me that negativity breeds negativity. Surround yourself with people that are doing something with their lives and it pushes you to do the same. These people will celebrate your victories and help you work through issues critically, but what they won't put you down or continuously put others down. The friends and family that influence your life should treat you in a positive way. If they aren't, there are a couple of options. If you do have some people in your circle that don't treat you in a positive way have a conversation with them. Tell them how you feel and give them a chance to do better. If they still choose not to, then you can choose not to hang around them. Be a confidence booster for others: I think you attract what you give out in this life. It's hard to explain, but making another person feel good by giving them an authentic compliment makes me feel more confident. It's hard to explain, but just try it. It makes me smile and feel good about myself and my own life's mission. Envy is a terrible drug: I do put partial blame the media for this, but we must be proactive in our own self-preservation and self-worth. So if you watch certain television shows make you feel inadequate, then don't watch them. If that Instagram account of the girl with the perfect body that makes you hate your body, then unfollow. When you have solidified your own confidence then feel free to re-visit those media channels. You will learn that you can appreciate someone else's beauty without feelings of inadequacy once you love yourself. On a final note, I can give you tips on confidence, but at the end of the day it's you who has the ultimate say on how you feel about yourself. It can be that simple or that hard. It's truly up to you and if you don't get it anywhere else, I want you to know that you are enough. Sidenote: Kind of off the subject, but on the subject, but I wanted to let y'all know about this because I am horrible about announcing stuff. LOL. But for your bloggers or aspiring bloggers, I will be speaker/camp counselor at the Texas Style Council held in Austin, Texas. I will be there as a blogger mentor, bunk captain (LOL) and I even have a break out session. I attended their first event when I still lived in Texas and had a nice time and got to connect with some amazing people. This is actually the last event, so it's cool that I am getting to host a class at the last one. It's being held the weekend of March 20 - 22. Although, I am happy to help any blogger, it would be cool to be able to have some plus blogger bunkmates since it's my area of expertise. Find the information here. Hope to see you there.